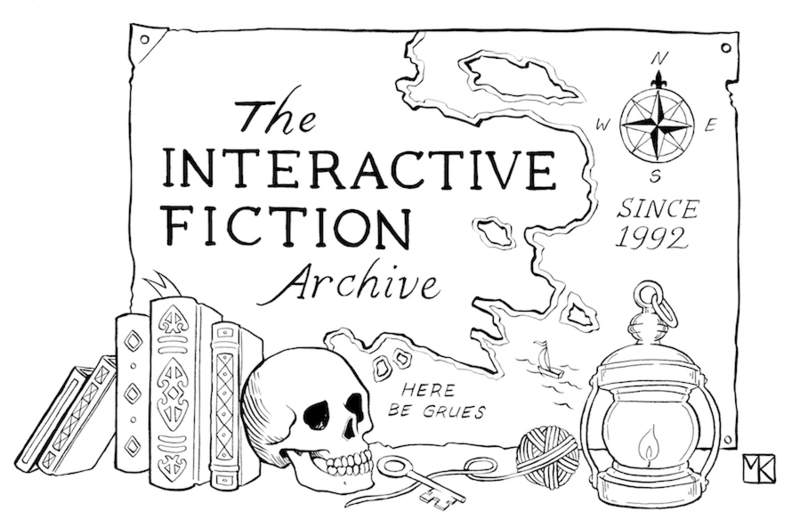 After 25 years of continuous operation, the Interactive Fiction Archive feels like a fact of life to members of the interactive fiction community. To those who’ve been involved longest, it’s an old and reliable friend. To newer IF enthusiasts, it can sometimes seem a puzzling relic of the past — it doesn’t look like modern web-based archives, or function like them either. Often taken for granted, the IF Archive is one of the most important collections in the world of electronic gaming. The IF Archive was founded in November 1992 by Volker Blasius and David Baggett. The original announcement says that “we want this site to be a place where all things related to the art (and science) of interactive fiction can be consolidated,” but it wasn’t exactly a mission statement—at the time, no one could have guessed that it would be such a long-standing endeavor. At first, the Archive was a simple FTP site. Those of us who weren’t technophiles in the 90s might not recall how files could be distributed this way, without a website at all—in fact, it wasn’t until 1999 that it had an HTML front-end. But even without a web presence, it was at the heart of IF culture for years: Inform and TADS were both originally distributed from the IF Archive, and the first IFComp was run from it. In fact, apart from that web presence, the IF Archive isn’t fundamentally much different from the day it was launched in 1992. The biggest change is its growth: today, the Archive contains about 15,000 files, filling nearly 10 gigabytes of disk space. Every new IFComp adds about a half a gigabyte of storage—an unthinkable amount when the archive was founded. Fortunately, disk space has gotten cheaper faster than the Archive has filled up. Fundamentally, the Archive is just that: a location to store interactive fiction games, and one that intends to keep them forever, allowing the public to download them freely. It lacks a search function to allow you to find the games or other IF resources you want; it assumes that you’ll already know what you’re looking for. To actually search for works, you’ll have to use a secondary tool. Happily, Mike Roberts created the Interactive Fiction Database (IFDB), which allows anyone to find what they need. It might surprise many people to find out that these are separate tools operated by separate teams! He speaks for IFTF, the charitable nonprofit that assumed legal stewardship of the IF Archive in 2017. Here’s to 25 years of the IF Archive, and we look forward to the next 25! Artwork for this article by Maia Kobabe.